Clear Springs in southern Davidson County, North Carolina that is just off the beaten path. 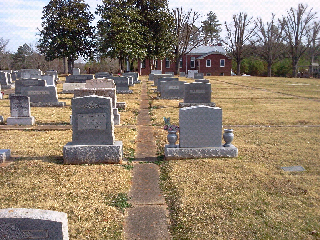 It's cemetery is fairly old and very neat with concrete walkways between each row of graves. It's in the community of Healing Springs, not far from the little town of Denton. It seems to have been plopped down in the middle of someone's farm, as ancient, fading farm buildings surround it in a very picturesque way. 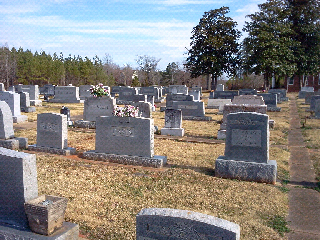 The cemetery reflects the names of those who pioneered this part of Davidson along the Yadkin, peppered with the same names the road signs bear: Badgett, Loflin, Feezer, Hall, Cole, Newsome, Carrol, Stokes. 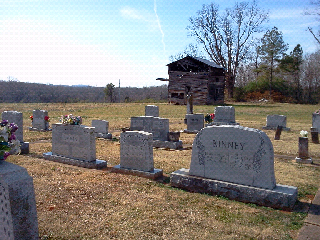 The Stokes likely descend from the family that ran the Ferry at the end of Stokes Ferry Road. There once were little riverside towns named Newsome and Feezer until the dam put most of them under water. 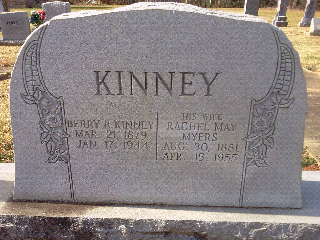 In one row of this neat little cemetery lies the family of Berry R. Kinney and his wife May Myers Kinney. Their son J. Pink Kinney is there, along with daughter Alta Valedia Kinney Davis Peace and her two children. Until yesterday, I did not know who any of them were, or that they even existed, or that they held a spot in my family tree. I mistakenly thought that my research of the family of Edward Winfield Davis was complete. He and his wife Rebecca had 3 children who had made it to adulthood. Hortense had died young leaving one daughter raised by her grandmother, and then by her grandmothers, second husband, JT Crump. John T Davis and Thomas Ashe had both married and had sizeable families. John T had a son Daniel or David by his first wife, Nannie Farmer, then married Jenny Lenora McSwain, daughter of Inez C. McSwain. They brought 6 children into this world, Ray, Christine, Maxine, Esaw, William Woot, and Jewel Lee, who was just an infant when her mother died in 1929. Then John Teeter himself, died in 1932, and that was that, or so I thought. There are still serveral small mysteries surrounding the family of JT Davis, like what they were doing in Moore County when Jewel Lee was born, what Valedia Kinney was doing living with his half-brother, Travis Crump, right after Nora, JT's second wife died, and what JT was doing in Hoke county when he died, as his residence was still the family farm in Tyson, where he is buried. So, while I was researching Inezzie Mcswain, I went back over the records of her children, including her daughter Nora. Upon looking closely at the death certificate of John Teeter Davis, I noticed that he was married, and survived by a living wife named Veledia Davis. A light bulb went off. 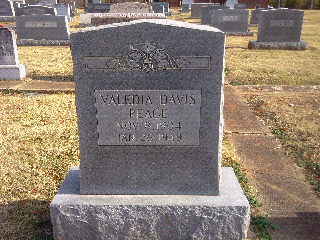 There was a Valedia living with the Crumps, who had taken in the infant Jewel Lee Davis. Despite the misspelling, Valedia is not a common name. 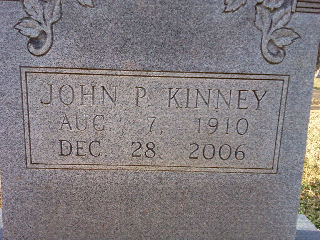 I started looking for Valedia Kinney and wah lah, in the very next census, she shows up in the home of her parents, with two extra surprises, two 7 year old twins, JT Davis and Jenny Lee Davis, born the year JT Davis died. 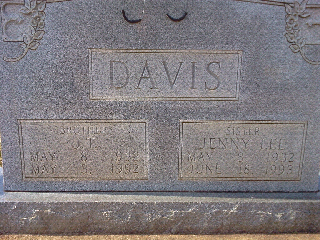 The Davis twins did not die young, but neither did they die old. Just as they shared the womb, they shared the grave, side by side at Clear Springs. Now to find out more about them and their mother. She remarried a Carl Peace, but had no more children. Neither of the twins married.